Google Play Reward is just for ookyo members only! It's free credits that you can use to buy things in the Google Play Store like apps or in-app purchases like gems and coins. How do I spend the Google Play credit? You'll need to do a one-time set up of Direct Billing. 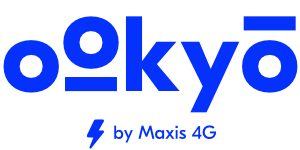 Open Google Play Store > click 'Account' > click 'Payment Method' > choose 'User Maxis/Hotlink/Ookyo billing'. select your item > choose 'Bill my Maxis/Hotlink/Ookyo Account' > click 'Confirm' > your purchase will be deducted from your Google Play Rewards first. If you have insufficient credit in Google Play Rewards, the balance amount will be deducted from your ookyo wallet. there's no additional charge for using Direct Billing or Google Play Reward. you only pay for the price of your item. if you're a dual-SIM user, please ensure that your network (calls, sms, and data) is set to the ookyo SIM before making the Google Play purchase for Direct Billing to work.